“If you want the appearance of spectacular long lashes or full eyebrows naturally, GrandeLASH-MD is the right product for you. This SAFE and PROVEN formula will help to improve the appearance of your eyelashes and eyebrows in LENGTH, FULLNESS, THICKNESS, and DARKNESS in only 4 to 8 weeks. 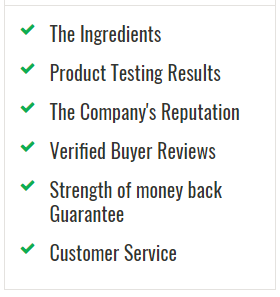 Comes with a 90-day money-back guarantee!” This is the statement on the company’s website. Does the GrandeLash MD rise to the occasion? It certainly does. 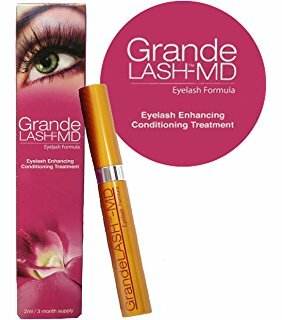 Most women found that the Grande Lash MD was not only effective but also a great alternative to the other products in the market since it was a whole lot cheaper. Although they have not claimed to be ophthalmologist tested on their website it would seem as if the company that created GrandeLash MD(grandelash-md.com)has done all the proper clinical testing to ensure the safe use of its products by its consumers. Unlike most eyelash serums that are chock full of chemicals, the ingredients listed for Grande Lash seems like a breath of fresh air. It contains natural ingredients such as vitamins, amino acids, peptides and is completely paraben free! This only means that it is safe for use even for those of us that have sensitive skin or eyes. Also because of a number of vitamins and botanicals in it, GrandeLash strengthens lashes by replenishing it to prevent breakage which is the main cause of short and sparse lashes. The website for GrandeLash MD encourages the buyers to use this product at night after you have washed your face and you are finished with your usual nightly routine. You then apply this product like liquid eyeliner to the base of your lashes. This is pretty easy to do since the applicator already kind of looks like an applicator tip to your everyday liquid liner. However, GrandeLash reviews have reported that they have received positive feedback from older clients saying that they noticed quicker results when used at night and in the morning. For the younger set, results will usually be seen in 3 to 5 weeks time. The main feature of the GrandeLash MD is it more natural take on the eyelash serum. Most serums nowadays are pretty scary considering how much chemicals they have in there. However it is a completely different story when it comes to the GrandeLash, they use all natural vitamins and botanicals which is extremely safe. Packaging and application are also extremely easy to maneuver. According to their website, the GrandeLash MD is extremely safe for use according to their clinical studies. In these studies, they did not find any adverse or negative reaction to the product. However, they also placed there a warning saying that although it is safe to use, some people may be allergic to certain ingredients found in the GrandeLash and we should exercise caution and always monitor are face for any negative reactions to the product. GrandeLash MD promises a non-sticky application. Unlike other products that are a hassle on the eyes because of the consistency of the serum, the GrandeLash is actually extremely light on the skin and you may not even feel it on which makes for a good night’s sleep. Does GrandeLash-MD also work on eyebrows? Good news! This product also works on eyebrows. GrandeLash is proud to say that their clinical tests have also shown positive effects when the product was used on sparse eyebrows. They even market it online. This is great because you are spending money for a product that can cure two problems. Two birds, one stone. Listed below is a list of warnings when using this product. Although almost all user has had success with this product, some of them first go through a few days of uncomfortable stinging in the eye area. However, GrandeLash says that this will disappear in 3-5 days time. Also, be extra careful when applying this product on the lower eyelashes. Be careful not to place the product to close to the edge where it can easily reach your eyes. Our final say on the GrandeLash MD is that it works but with a little bit of stinging for the first few days. If you think you can get through the first 3-5 days in order to get the lashes you want in 3-5 weeks time then this could be the product for you!